From the 07/98 find at Rapid Creek. 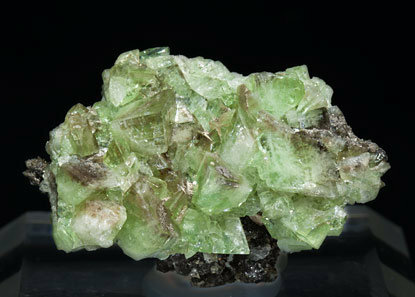 A wonderful apple green Augelite with semi-transparent, well developed, brilliant crystals which are better than those that have been found in the past. A novelty at Munich 2012. Though they have sporadically appeared in previous years, due to their relative abundance this year and the quality both of the samples and the individual crystals, they can be considered as a novelty. 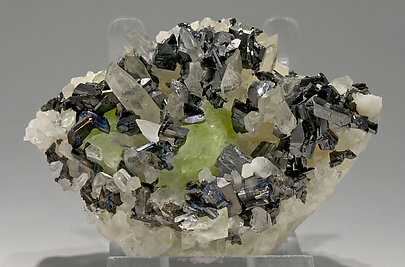 The crystals have a considerable size for the species, they are bright, between translucent and transparent, and they have a clear apple green color. 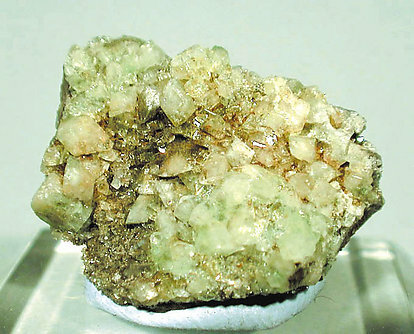 In this sample they are with crystals of Hübnerite, some of them doubly terminated, and are on a matrix of clear crystals of Quartz. 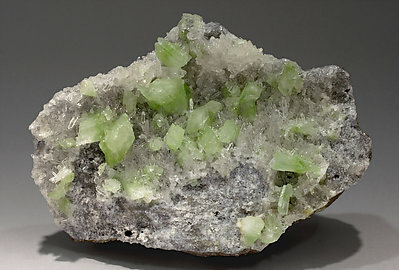 Very sharp and isolated Augelite crystals that have very well defined faces and edges, are bright, with a pale green color and are implanted on a matrix of transparent Quartz crystals. A novelty at Munich 2012. Though they have sporadically appeared in previous years, due to their relative abundance this year and the quality both of the samples and the individual crystals, they can be considered as a novelty. 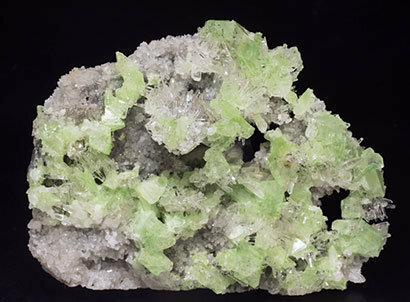 The crystals, many of them doubly terminated, have a considerable size for the species, they are bright, between translucent and transparent, and they have a clear apple green color and are on a rocky matrix with clear crystals of Quartz. This sample is one of the best obtained from the locality due to the size, quantity and quality of its crystals. 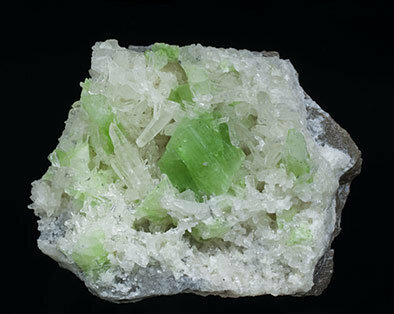 Very sharp isolated Augelite crystals, one of them clearly dominant, with very well defined faces and edges, with an excellent vivid green color and on a matrix with fine clear Quartz crystals, one of them implanted on the main Augelite crystal forming a small but very sharp and perfectly defined Japan Law twin.